All About The Jelly Pedicure - Fringe / A Salon Inc. Experience the latest trend to grace our salon – Jelly Pedicures! 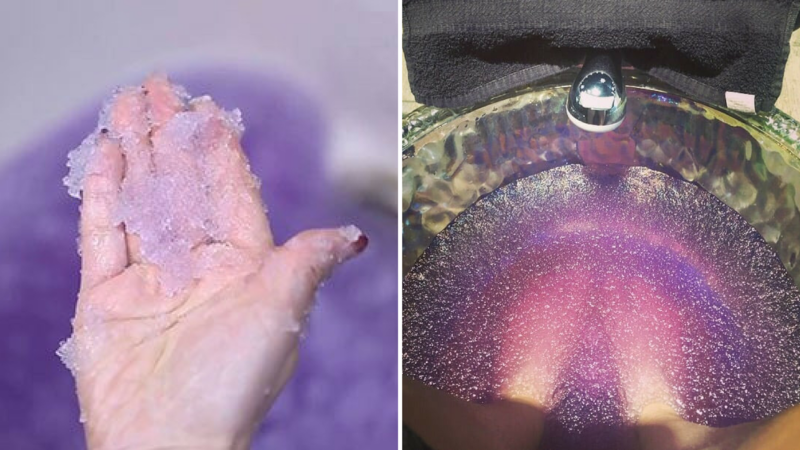 It may look like ordinary powder for baths, but don’t be fooled. 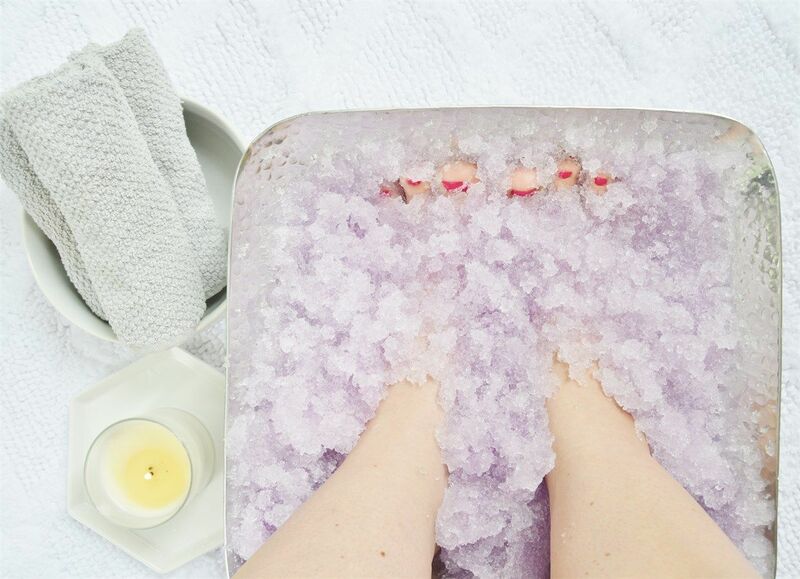 A Jelly Pedicure takes your typical pedicure experience to the next level… and we can’t wait for you to try it. So what exactly happens when you get a Jelly Pedicure? Well, when the jelly solution is added to warm water, it instantly starts to become a translucent, fluffy jelly, which will retain its heat up to four times longer than regular water. Within minutes, what began as a tub full of water evolves into a luxurious jelly bath like watching a magic trick while invigorating the nerves and tired muscles. Feeling the bits of jelly between your toes and around all the muscles is a very relaxing way to enjoy a unique spa experience. Benefits of the Jelly Pedicure are that the dense jelly mixture massages stressed muscle and acts as a gentle exfoliate. 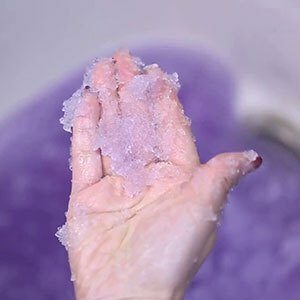 Jelly retains water naturally and combined with the fragrant oils in the Jelly Pedicure, moisturizes and softens dry cracked skin. If you’re interested in treating yourself to a luxurious pedicure experience, book an appointment with us now. New clients will receive 20% off their first service!